George Norton Nassar, 92, passed away on Thursday, April 11, 2019, at his residence. 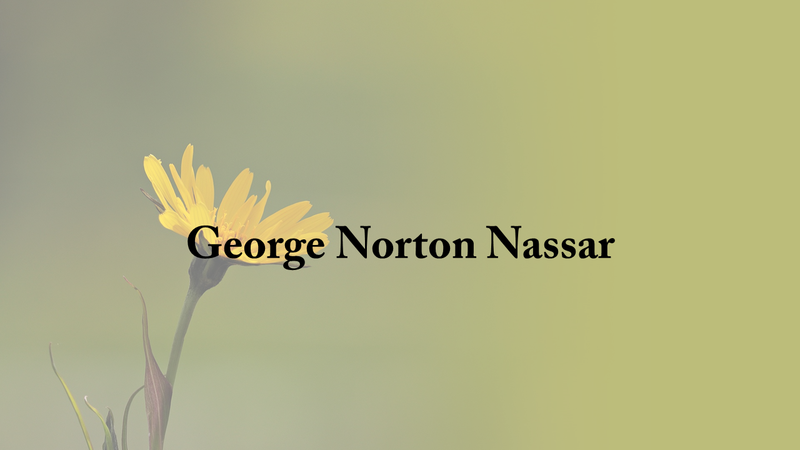 He was born March 7, 1927, to George and Bathsheba Nassar. He is preceded in death by his parents, two sisters, and three brothers. Survivors include his wife, Barbara Ferguson Nassar; daughters, Georgia Nassar and Leslie Nassar; son, David Nassar; stepdaughters, Sherry (Jim) Miller and Kimberly (Stephen) Siegel; stepsons, Michael Ferguson and Adam (Kassie) Ferguson; and a host of grandchildren, great-grandchildren, nieces, nephews, family, and friends.